The Compose Travelogue's next stop in its visit to Birmingham is meeting up with Chris Winslett, one of the established developers at Compose. 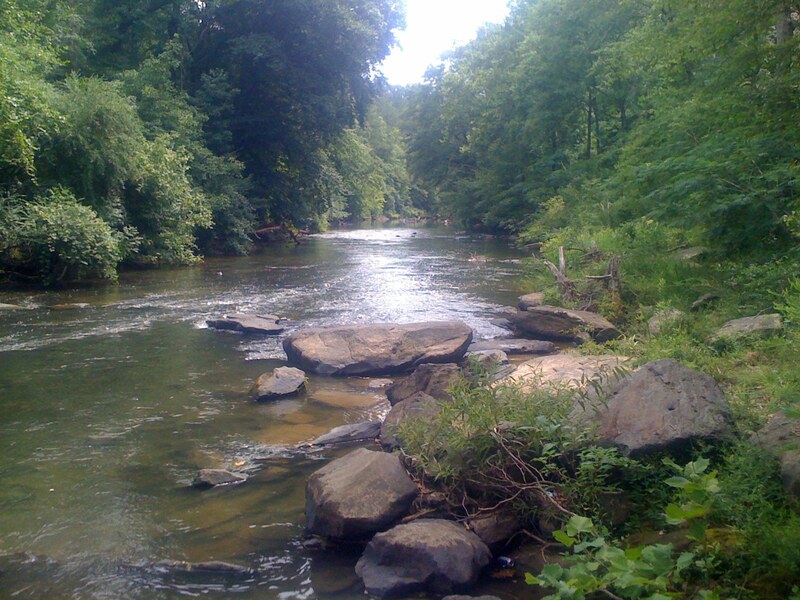 We meet up on the Cahaba River by Grants Mill Road because Chris wants to show me the thing he loves about the area, the water. "I enjoy the rivers of Alabama" he says, but it isn't a passive enjoyment. "I enjoy the whitewater rapids in the north in the winter and spring and the water skiing and fishing in the summer." At Compose, Chris's current focus is "working to improve our Postgres". He's keen on developing strategically and that means looking deep into the support queue for customer requirements and engaging with them. Typically, that will be a small part of a bigger class of requirement "x". With that in mind he'll then research that "x" looking at the options and looking for what would give the customer a good experience. He then works with the other Compose database teams to see how they'd approach "x" and with the Compose platform team to see which approaches best fit the platform. Finally he talks with the rest of the Postgres team, to select an approach and see how they can add value to that. With all that in place – he goes to build the feature that will deliver "x" to the customer. That works out as "50 hours of conversations, thinking, and information gathering for 5 hours of coding" says Chris. The remote nature of Compose means all these conversations tend to take place in text form. For Chris, that was a step change from previous roles before Compose where "person-to-person verbal talking was the primary mode of information dissemination and persuasion." Learning how to communicate without the non-verbal cues and other collateral signalling is a challenge for everyone - "I'd like to think I've gotten better at writing, reading, and influencing with text, but not always." "We do have weekly video chats for technology demonstrations and team updates and schedules" he notes but adds that the growing team has meant that as a necessity, these have become higher level overviews. It's something I noticed myself; when I joined Compose, it was not uncommon for video meetings to sharply focus on the implementation details of new features or fixes. Now, that is rare and as Chris notes, we are using written documentation for more detail and collaboration. the need for person-to-person communication that I often miss being remote." All this happens from a small office about a mile from Chris's home. "I need structure and routine to get the most return from my time" he says. His describes his typical work day: "I'll get the kids off to school, go exercise for an hour, walk to work. Mornings are for coding and complex time. Afternoons are for catching up on information. Typically, around 2:30pm, I'll walk to the local coffee shop. Then, I'll walk home." Chris's work/life balance is enforced by his wife who throws him out of the house to either work from his own office or a coffeeshop. Visiting the Compose workspace is a rare event. "I've created a clear line between work and home that's worked for me so far" he explains. It's a line that means "when I open up my laptop, I'm at work and it does not matter where I am. While on my laptop, my brain gets transported to work things." This gives an ability to focus on work, but it has to be in it's own space because "it doesn't jive with having kids who want to play and a wife who enjoys our conversations." Chris recently moved back to Birmingham after having lived in Mountain View, California. "We've moved back because family is here and California is expensive" he explains but living in California was life changing. He's come back with new hobbies and new values which let him see Birmingham in a different light. Hobbies like cycling - "When I was younger and lived here, the landscape seemed flat and unappealing. After riding a bicycle up and down these hills, I can tell you that it is not flat. I've learned to appreciate the subtleties that I missed when I was younger. Honestly, it's fun to re-explore a familiar area that I only partially knew previously." As we depart, Chris recommends we go to the Civil Rights Museum. With demographic changes seeing the rise of generations who've only known integration and the demise of the segregated generations it makes "a powerful place which is a step forward to reconciliation". I don't have time to visit it this time through, but next time it's top of the list.